Balinese people, the life they live and the nature that surrounds them. 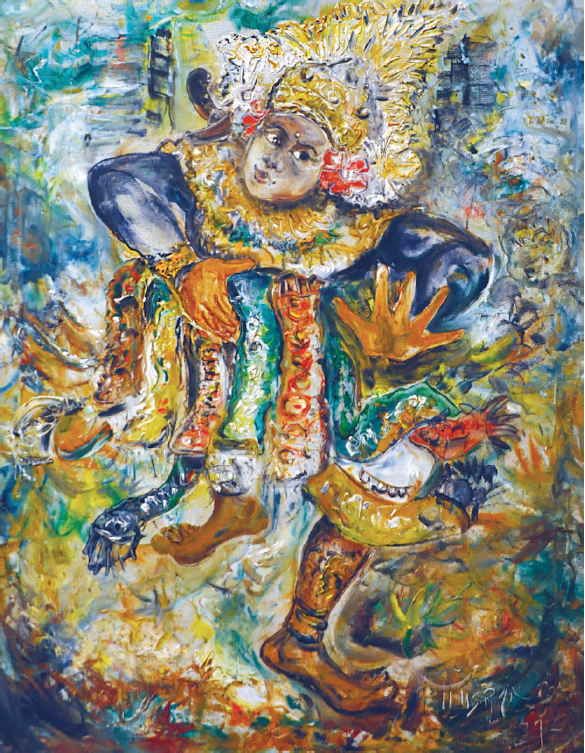 As depicted in this piece, the Balinese Dancer is portrayed mid-motion, frozen in a moment that is captured and illustrated in beautiful, expressionistic colours. The soft palette leaves the viewer amazed at the sheer serenity and softness of the moment, and gives an insight into the lives and culture of the Balinese people.